Enlarge/ Surface Pro with a Cobalt Blue Type Cover. The Surface Pro with LTE is set to become more widely available. Initially positioned and sold as a business-oriented device, Microsoft today opened the device up to consumers, with preorders starting today. While business users have been able to buy the systems since last December, anyone preordering today still has a wait in store: the devices won’t be shipping until May 1. Microsoft has two versions of the LTE device available to businesses; for $1,149, you get a Core i5 7300U, 4GB RAM, and 128GB storage, and for $1,449 you get the same processor with 8GB RAM and 256GB storage. In both cases, this is a $150 premium over the non-LTE versions. Currently, only the more expensive of the two appears to be available to preorder, though we would expect the other to materialize at some point. 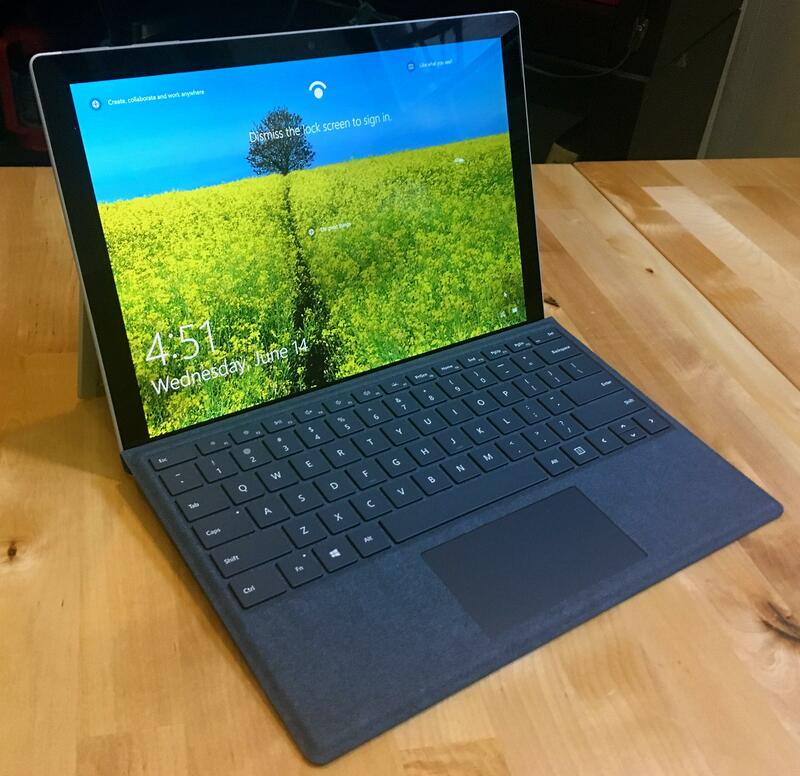 As with every Surface Pro, if you want a Type Cover keyboard or a Surface Pen, you’ll have to pay extra. We wouldn’t expect to see much variety beyond these two configurations, however. In particular, there won’t be an i7 version. The space where the modem would be contains a fan in the i7 units, so there simply isn’t any room for LTE. And this means that the processors are still seventh generation—that is, dual-core, four-thread Kaby Lake chips instead of the four-core, eight-thread eighth-generation parts that are now current. There’s little to distinguish the LTE version from the base models. There’s a SIM tray next to the microSD slot under the kickstand, a plastic strip along the back of the machine for the LTE antennas, and of course the Qualcomm X16 LTE modem on the inside, but it’s otherwise identical. This means we have the same complaints as we do for the standard version: although Microsoft has credibly made this kind of tablet/2-in-1 form factor a distinct, viable category in the PC market, the company hasn’t done much to iterate on the hardware, with the lack of Thunderbolt 3 in particular a frustrating limitation. The LTE version uses Windows 10’s native LTE support. Windows has had integrated support for mobile broadband since Windows 8, so there’s not a ton new here, though the desktop operating system has learned a bit from mobile operating systems: it can be configured to use LTE even when Wi-Fi is available, if that Wi-Fi is detected as being slow or unreliable. 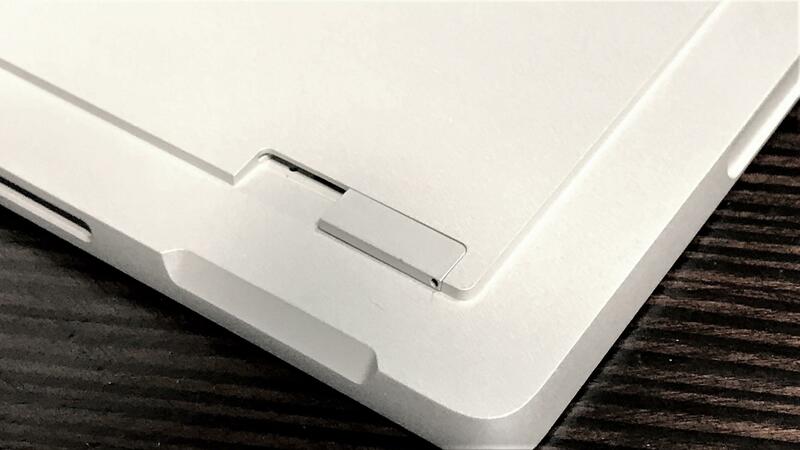 Enlarge/ The Surface Pro with LTE’s SIM tray is just next to the microSD slot. To boost the consumer pre-orders, Microsoft apparently seeded a number of review devices, though Ars didn’t get one. The reviews (Petri, Ed Bott, The Verge, Windows Central), don’t appear to hold too many surprises; the 2017 Surface Pro and integrated LTE are both known quantities at this point. Battery life takes a hit from using LTE—you might lose perhaps an hour of runtime from using 4G instead of Wi-Fi—but that number compares favorably to the punishment that your phone battery takes when tethering. Connecting to LTE networks is quick, and the eSIM capability makes it easy to sign up to temporary data plans when travelling. The value of integrated LTE will depend on how much of a premium you put on the ability to get online anywhere and how valuable you find the convenience of having LTE built in. Built-in LTE certainly has its advantages—the automatic handoff when Wi-Fi isn’t available, the ability to get online without having to drain your phone battery from tethering—but it also means added hardware expense and an additional data plan. This convenience may be worth it for heavy mobile users; for the rest of us, Wi-Fi and tethering are probably good enough. None of this is particularly specific to the Surface Pro with LTE, either. Other systems with integrated LTE have essentially posed the same question—just how much cash is the convenience of integration really worth to you—and that question is going to be asked of even more of us with the Always Connected PC initiative. Always Connected PCs are Windows systems (with Intel, AMD, or Qualcomm ARM processors) with integrated LTE connectivity, offering the same freedom from Wi-Fi. They use those LTE connections to offer the smartphone-style experience of always having your mail and notifications up to date. This feature has always been nice to have, but the expense of the modem and the data plan means most of us elect to go without. Microsoft hasn’t yet said much about what the data plan situation will be for the Always Connected PCs, but without some big change from the mobile operators, it’s hard to see just how they’ll break out of their current business-oriented niche. Another $50 or more for a data plan on top of what you’re already paying for your smartphone is a huge barrier to mainstream adoption. The data plans in the Microsoft Store for the Surface Pro with LTE likely give a taste of what to expect: $30 for 3GB, which must be used within 30 days. For me, that doesn’t seem low enough to draw me away from tethering (at least when I’m in the US, and hence not roaming) and into the Always Connected world. Make the modem cheap enough and I could certainly imagine using this kind of ability for a week or two every now and then—but a $150 premium is too much for something that I’d use so infrequently.